Welcome to my website! I hope you will find it interesting and informative. Under my given name I am a speculative fiction writer, NaNoWriMo winner, and professional blogger. Under my Craft name, I instruct workshops in magick and Wicca, organize Sabbat rituals which are open to anyone, speak, present, make music, blog, and write. 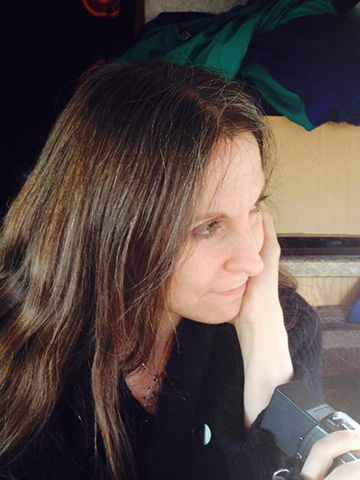 I have been a teacher, facilitator and organizer in the Pagan community for a little less than 20 years. I often find myself doing Pagan advocacy and outreach work, as well as teaching and leading rituals. You'll find many of my written and musical works here to stream, watch and read. I practice and teach Reiki, and read Tarot and teacups. But I also travel to teach. I work out of my home or yours by appointment. 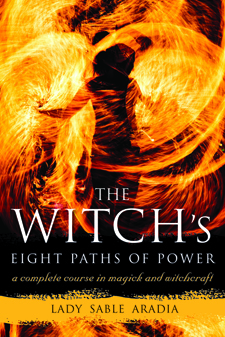 I write a few articles for online magazines, and working on my book, "The Witch's Eight Paths of Power" inspired a series of workshops whose research takes me into areas of the Craft and of mysticism that are fascinating to me. I'm always seeking to expand my knowledge - the Craft is a lifelong study - and I find this exciting and I hope you'll share my journey! I have always been a dyed-in-the-wool geek. I love science, science fiction, RPGs, classic literature, and jazz, among other things. I chose the Craft name "Sable Aradia" to honour the Goddess that chose me (Diana, Queen of the Witches,) and to acknowledge the purpose I believe the Goddess has asked of me. Aradia, daughter of Diana, was sent to the world to teach Witchcraft to the masses and liberate the oppressed. Certainly my work has primarily been in teaching and in Pagan advocacy and public speaking. My passion is to share the knowledge of Wicca and magick as a tool of empowerment, and to be a public face for Wicca and Witchcraft in a culture where misunderstanding and fear are still common. I teach workshops on the Witch's Eight Paths of Power online and in person, and I co-hosted and broadcast the Pagan Pathfinders Podcast with Nisaba Merrieweather, which brought together Pagan leaders, elders and facilitators all over the world to discuss issues that concern the Pagan community.I have been a writer from my childhood, and in addition to my work on magick, I also write science fiction and fantasy. My first book "The Witch's Eight Paths of Power: A Complete Course in Magick and Witchcraft" can be found at Amazon, Barnes & Noble, Chapters, and Google Books. It's also available at all the Amazon sites; here's the one for Amazon.ca and for Amazon.co.uk. I have also published in a couple of Pagan anthologies, and as of the Spring Equinox 2017, I've started publishing a fantasy-western serial called the Wyrd West Chronicles. Currently I am working on a hard sci-fi novel called "The Cloud" which deals with asteroid mining in the near future. I've been working on fantasy novel with a transgender hero called "The Forever Throne" and a series of fan-fiction novels based in the Spelljammer® fantasy universe called "The Toy Soldier Saga." I also sing and record original music.